Ethnic wear is the traditional attire that resembles the cultural background of India. The outlook produced by wearing ethnic is classic and elegant. Many varieties and styles include in this type of attire. Ethnic wear for women in India presents an endless combination of colorful dresses reflecting the culture of that particular place. 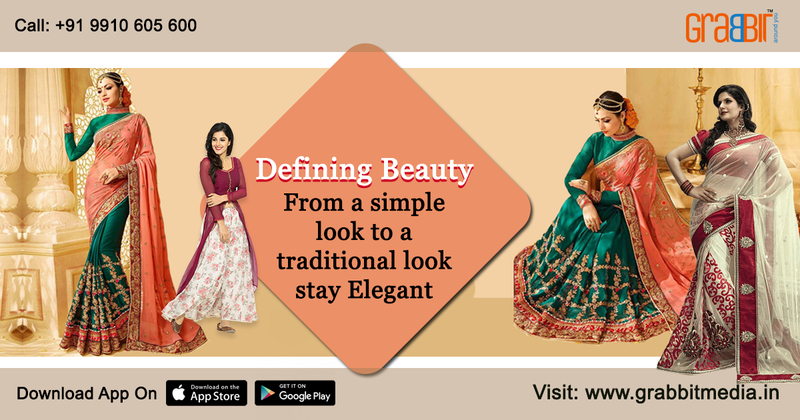 The main traditional dress codes for women are sarees, salwar kameez, Lehenga and kurtis which are being sold as hot cakes in India. Among these, the saree is the most popular and widely used one throughout India especially in South India. The varieties in saree collections are amazing that’s because women take so much time to buy them. Without any good knowledge of saree selection it is difficult to buy them when having so much good options. Among the 28 states of India Bengal, Gujarat, Haryana, Western Madhya Pradesh, Western Uttar Pradesh, Orissa, Rajasthan, Tamil Nadu and Kerala are the nine states popular in weaving beautiful sarees. Each region has its unique set of creativity in saree creation with regard to fabric selection, print, embroidery, dye, block print, etc., Bandhani, batik, block prints and hand prints are suitable for casual wear whereas Kanjeevaram and Banarasi silk sarees are suitable for special occasions that go with matching jewellery. The next in the list of ethnic wear for women is salwar kameez. This is the most elegant dress, originally from Punjab and Kashmir, that has become popular worldwide. Many patterns in salwar suit are being introduced now and then like parallels, short kameez with patiala salwar, churidar and designer dupattas. Nowadays saree is fast replaced by salwars and churidars among the Indian women due to its convenience and comfort it offers. The next in the list is the Lehenga or the Gagra dress. The lehenga has many patterns reflecting the regional styles. A long voluminous skirt with choli or kurti that covers midriff along with a beautiful chunni is the particular style of Uttarakhand. The speciality in the Ethnic wear for women is the handwork done on the attire. Among the technological developments in the garment field, only these gorgeous handwork helps the ethnic attire to stand out exhibiting rural feel to the ethnic beauty. The Rajasthani work, mirror work, Gujarat and kashmiri embroidery work are popular throughout the world and the renowned designers prefer to have ethnic attire as their theme due to these attractions. Ethnic wear for women has been improvised to go in par with the modern trend and western outfits. Till date this is the most preferred attire for all Indian women which exhibits beauty, elegance, style and certain unique personality.